Submitted by Luisa Kinderspiele (not verified) on Wed, 10/14/2009 – 10:04am. 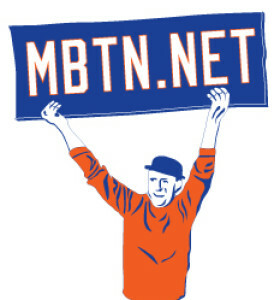 I love the Mets!! They are such a great team!!!! Mets forever!!! Submitted by metsilverman.com (not verified) on Wed, 10/14/2009 – 4:51pm. And here I was thinking those games were meaningless. Excellent job, Jon. 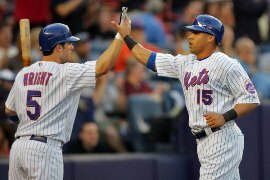 As for Wright and Carlos, I still think they were going through the motions. (How else does any major league team get swept by Washington?) Though not as enthusiastic as the previous commenter, I too love the Mets. I love them even more now that they’ve mercifully stopped 2009. Submitted by Jon Springer on Wed, 10/14/2009 – 7:04pm. It’s difficult to love anything with the unabashed passion with which Luisa Kinderspiele loves the Mets. Submitted by Salvia (not verified) on Wed, 10/28/2009 – 7:49pm. I’m gonna be bashed here, but what the heck.. I love the Yankees! Yankees are the best! But I like the Mets at those times so don’t be that rude with me. Submitted by Stan (not verified) on Fri, 11/06/2009 – 5:59pm. It’s a wonder that Delgado’s questionable milestone base hit (3000 for #15) wasn’t immediately turned into a radio plug for GEICO.